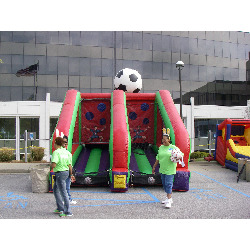 $250 19’Lx14’6”W x15’10”H Everyone’s talking about this soccer challenge game. See who will be the first to score. Great for practice, competition or individual play.